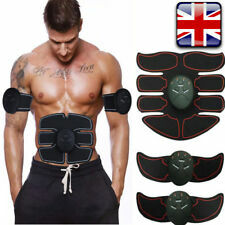 A set include: 1 host to change mode, 1 abdominal muscle toner, 2 arm muscle toning belt. Material: PU & ABS. Open the host battery shell, and install batteries. Arm training belt: 20 x 5.5cm / 7.8 x 2.3in. Abdominal Power Roll Trainer Waist Slimming Exerciser Core Double Wheel Fitness. 1 x Abdominal Trainer. - Six different training levels for your choice to achieve the maximum body fitness. - Flexible wheels with soft sponge cover and hand rack, comfortable to use. Enjoy The Full Body Workout To Achieve Your Fitness Targets Easily And Efficiently. We Equip You With The Tools You Need To Lead A Healthy Lifestyle. © BodyRip. 2 X Gymnastic Rings (Cam Buckle Is Not Included). Your workout will be more effective and fun! 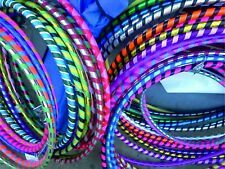 The More Mile weighted 1.5kg Hula Hoop can be assembled in as little as 60 seconds, with a 6 section snap together system which allows for easy storage and is convenient for transporting. 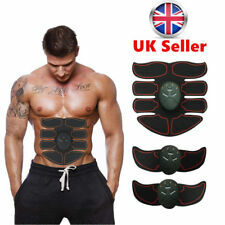 EMS Trainer Abdominal Toning Muscle Toner Gym Abs Smart Fitness Belt Batteries UK Seller. Ab Exercise Wedge Mat - Lets You Target Core & Ab Muscles Whilst Providing Back Support Perfect for Cross & High Intensity Training - Enables Full Range of Motion to Work Your Entire Abdominal Muscle Group Isolates Upper Abs, Lower Abs & Lower Back Muscles - Contoured Design Fits the Natural Curve of the Back Firm Foam Cushion - Durable PU Leather Material - Non Slip Strip on Base H: 75mm - L: 365mm - W: 310mm. Intense, Light And Effortless Abdominal Training! Abdominal Muscles (Upper, Middle, Bottom, And Side). Expand Chest, Back, Arms, Shoulders And Abs In One Motion. Light-weighted, portable and durable, made of high quality material. 1 x Hip Trainer Pad. Press the ON/INC button to increase intensity or OFF/DEC button to decrease the intensity. Slide the battery cover off. Press the ON/INC button to turn on. Install 2PCS AAA battery correctly. Pull rope length: 0.3m without pulling rope. Size: wheel 43 18.5 13 cm. 1 x user manual. colour:Black green. Smart wonder core exercise machine. goes flat for storage. 1 x Abdominal Trainer. - Six different training levels for your choice to achieve the maximum body fitness. - Flexible wheels with soft sponge cover and hand rack, comfortable to use. - Latex pull rope, high elastic, adjustable and solid with long service life. 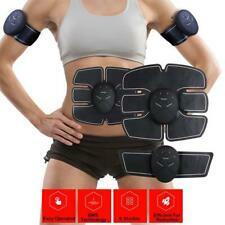 Body-tek Sports Elite Electronic Muscle Stimulation Set Diet/exercise Support. Condition is Used. Dispatched with Royal Mail 2nd Class. Intense, light and effortless abdominal training! Abdominal muscles, back muscles, arm muscles, shoulder muscles, thigh muscles and glutes are trained at once! You can choose between 6 different training levels and 44 different exercises. 1 x Hip Trainer. If you are unhappy with the item for any reasons. 2 x AAA 1.5V batteries. 1 x Manual. Electrical stimulation of the gluteal muscles. Designed with ergonomics targeting abdominal muscle exercise. Fix the fitness gear to the position where you want to strengthen your muscle. Mode 6 The Composite Mode of Aerobic Exercise, Anaerobic Exercise and Muscle Relaxation. Type： abdominal patch. Size ： abdominal patch( 19cm x 22.5cm ),host(9cm x7cm). Replaceable large gel pad which massage larger area. Simply wear it while carrying on with your daily tasks or just sitting back and relax for muscle training and body slimming. Materials: Belt: synthetic leather, Gel; Remote: ABS plastic. Our goal is. We will be responsible for. With just a daily 5 minute workout, you can target your tummy, arms, glutes, legs and thighs all at once. The Ab Generator features. 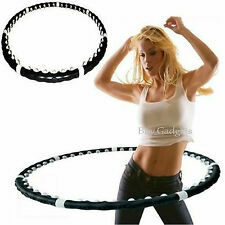 Description: This muscle trainer is designed for you who want to have a good figure but hardly have time to do exercise. Adopting advanced EMS (Electrical Muscle Stimulator) technology which is recognized as a clinically proven, effective, non-medication method of training muscles. This muscle trainer can effectively help you to lose weight and shape figure, whether you are working, studying, playing, shopping or cleaning, it can virtually build your muscles. Features: . Abdominal chair designed to work upper abs, lower abs and oblique's: Backrest includes padded massage rollers that pivot with your body. 1 Dual Wheel Abdominal Roller. Material: ABS|EVA| Stainless steel tube | foam. Orders placed on weekend will. best give a satisfied solution. To Other Country. Everything your core needs for an abs workout. Sculpt a flat stomach and. 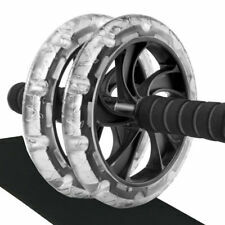 The large, sturdy PVC ab roller wheels support heavier body weights. You'll feel the burn as you build muscle and burn fat. Challenge your body with a number of different exercises to help strengthen your abdominal muscles. Official FXR Sports product. Padded sponge cushion bar for maximum comfort and safety. Helpful Links. 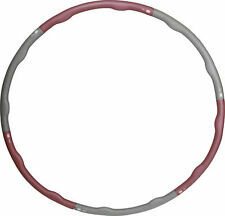 Powerhoop Weighted Hula Hoop. 1.7kg (4lb) Boxed Carry bag included Poster, activity sheet and hoop instructions. Condition is Used, very slight nick in the rubber as shown in photo, does not affect performance. Spot reduction states that if you exercise a particular muscles group (like your thighs) you will burn fat from that area. Do that and your body will take the fat from wherever it put it last! Used consistently it will tone and strengthen your muscles in your thighs and other areas.